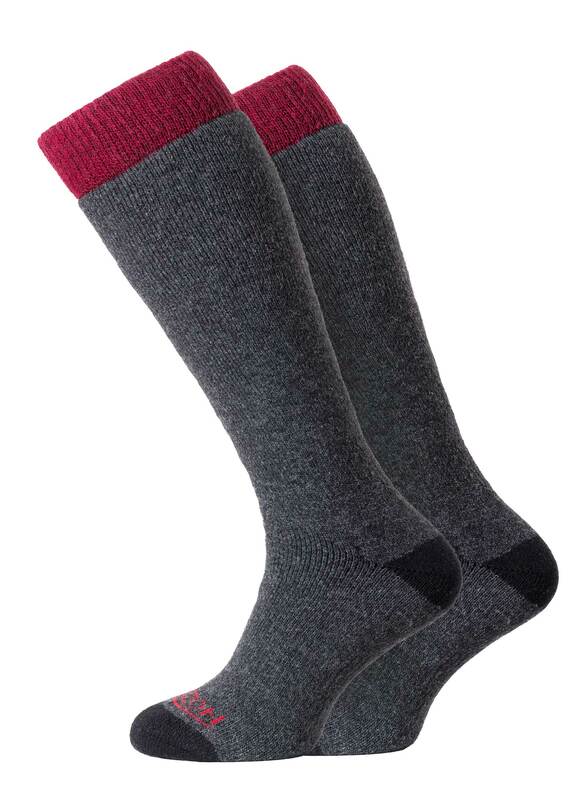 Made with Merino wool, strong polyamide and shape retaining Lycra, these traditional knee length socks are warm, hard wearing and offer a superb fit. Fully cushioned throughout, the Merino wool loop pile ensures a high degree of comfort and warmth while offering protection and support. Elasticated grip sections, a non-restrictive in-turned welt and a fine recessed toe seam enhance the fit and the comfort making your Winter sport all the more enjoyable.